Something extra. 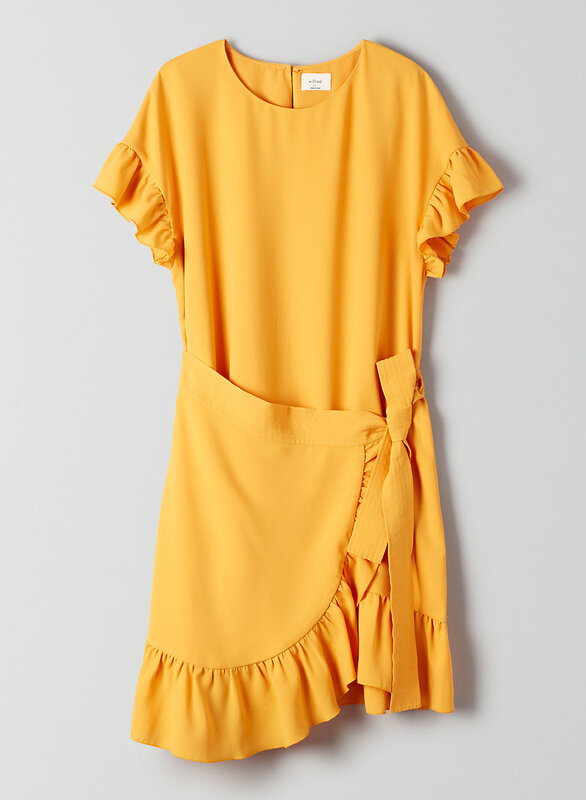 This is a short dress with a wide scoop neckline and ruffle details at the sleeves and hem. It's made with a drapey silk-like fabric from Japan.